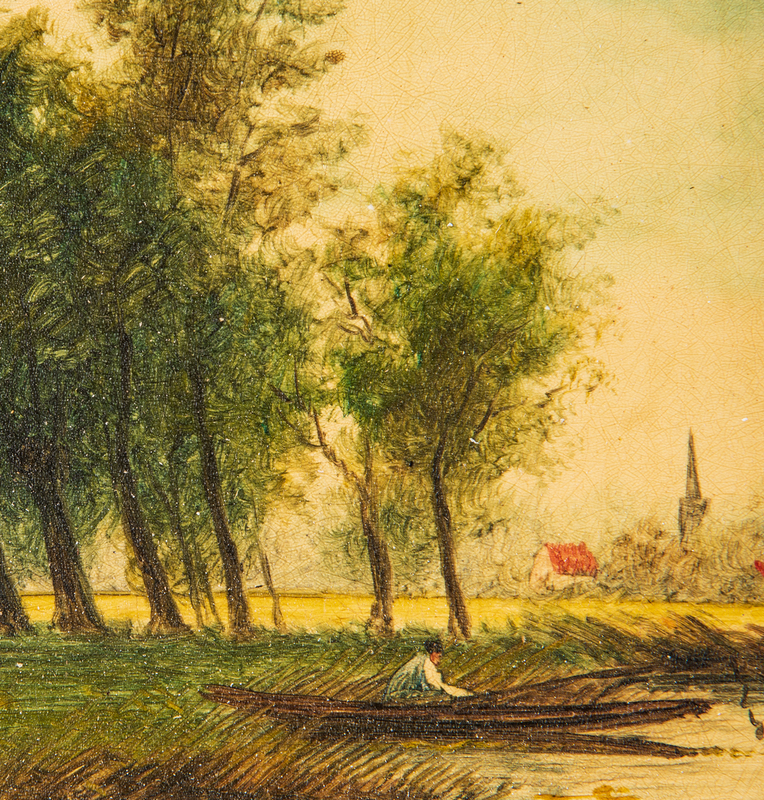 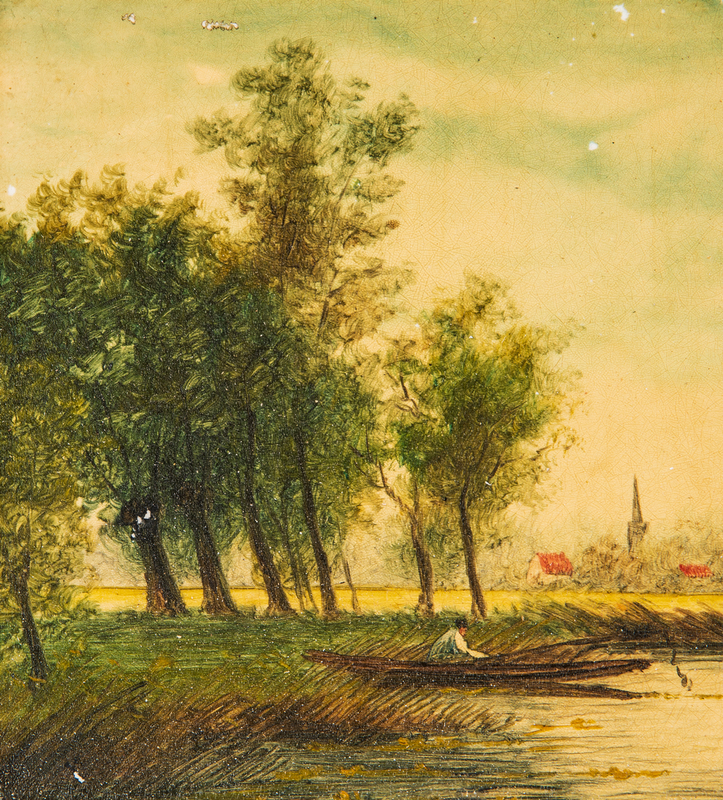 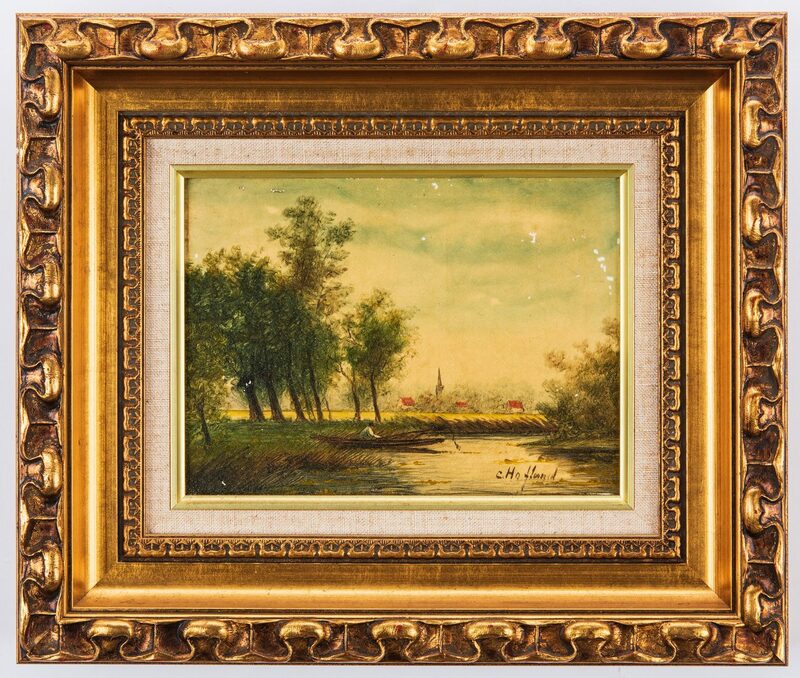 Two (2) European miniature landscape paintings. 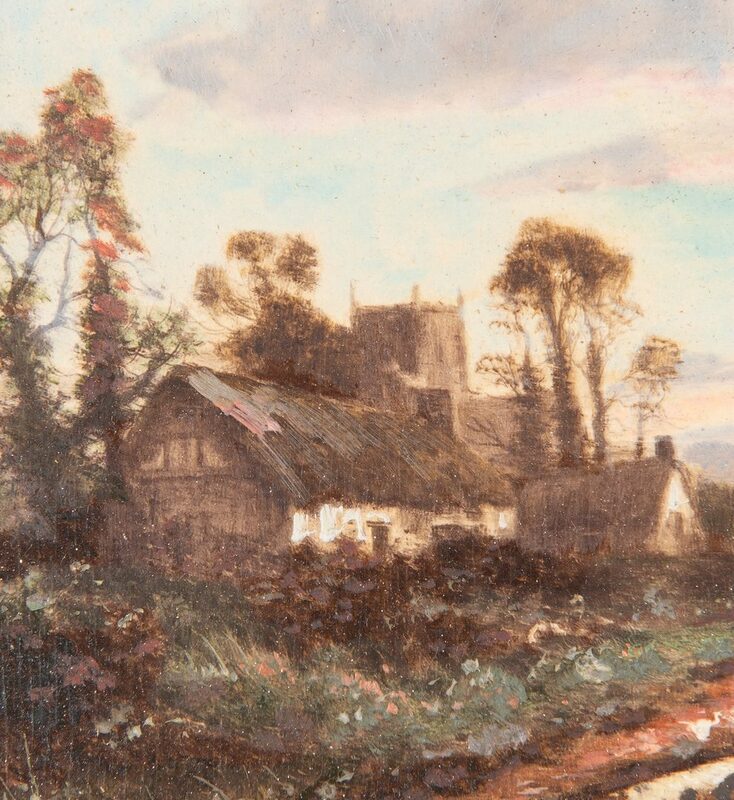 1st item: Landscape oil on porcelain plaque depicting a fisherman in a boat foreground, village with red roof buildings and church spire background. 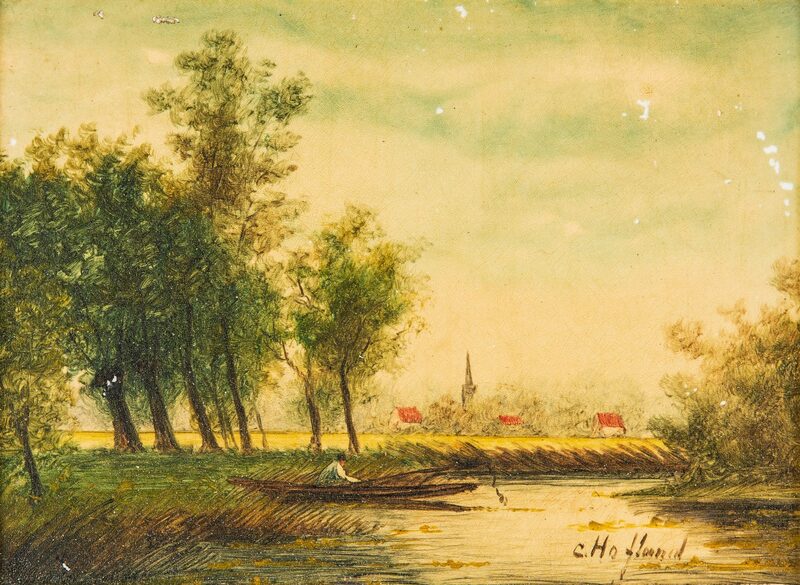 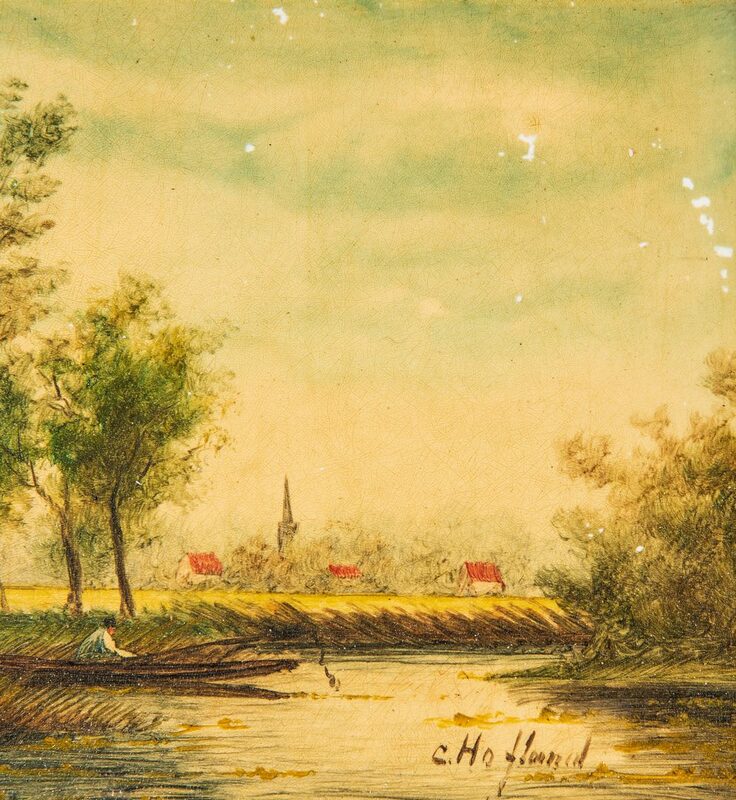 Signed lower right "C. Hofland", possibly after Thomas Christopher Hofland (United Kingdom, 1777-1843). 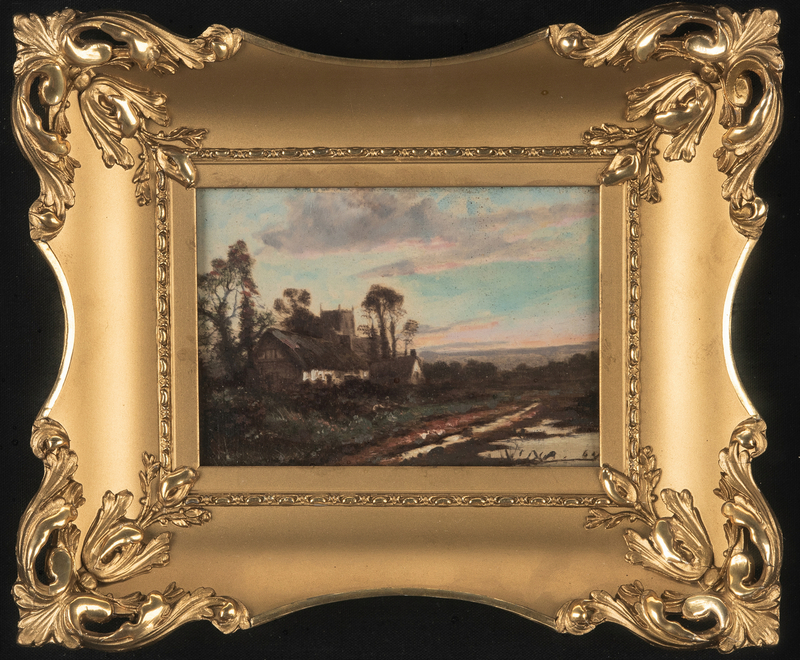 Housed in a contemporary gilt wood frame with linen liner. 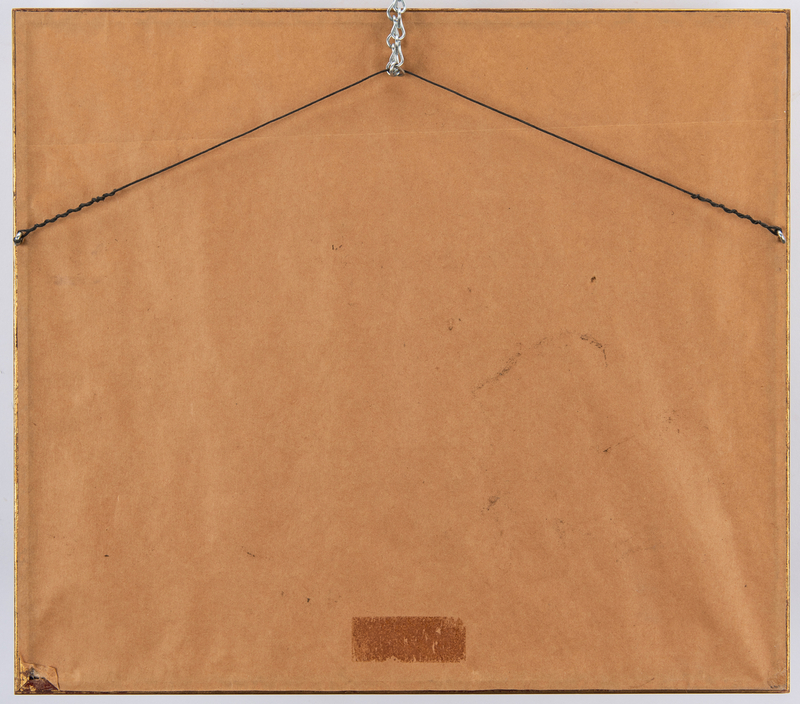 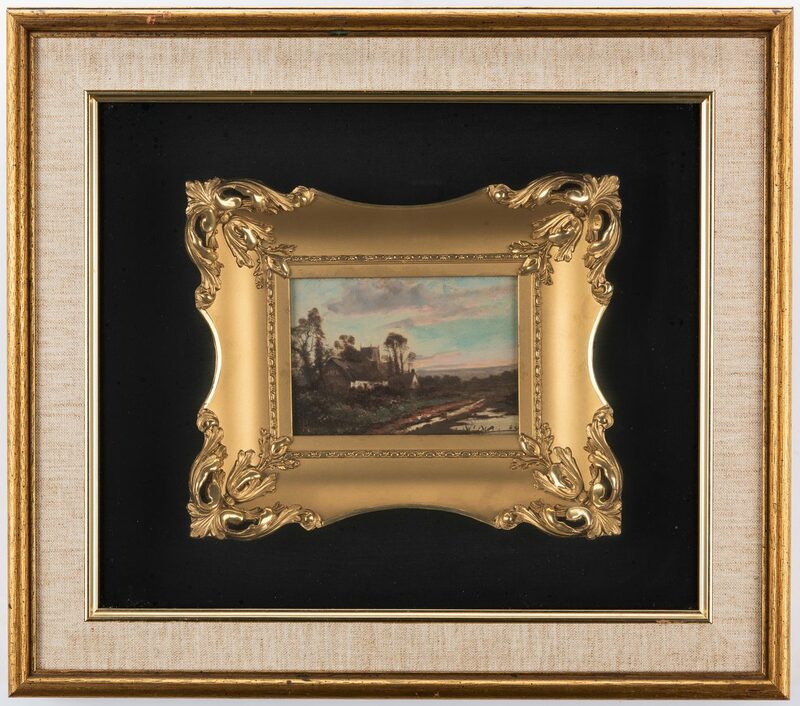 Sight – 5 1/4" H x 7 1/4" W. Framed – 10 3/4" H x 12 3/4" W. 1st half 20th century. 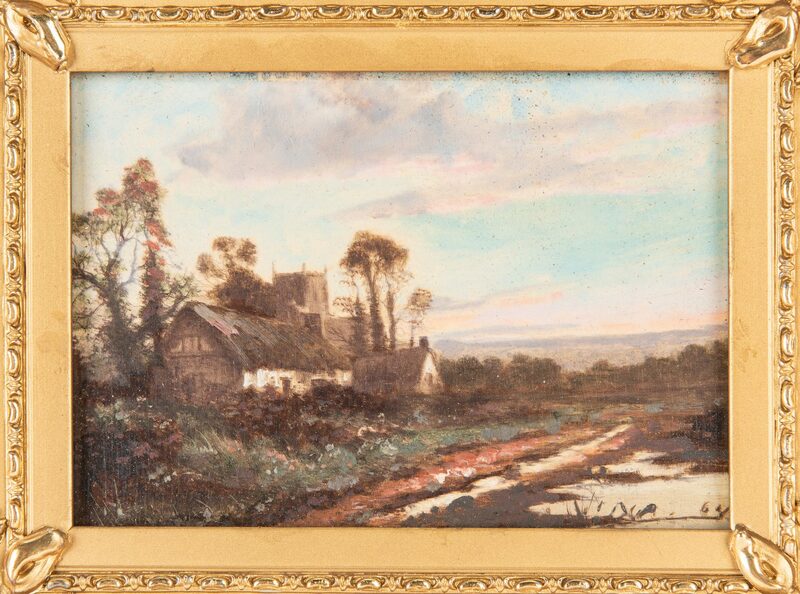 2nd item: European oil on panel landscape painting depicting farmstead at sunrise. 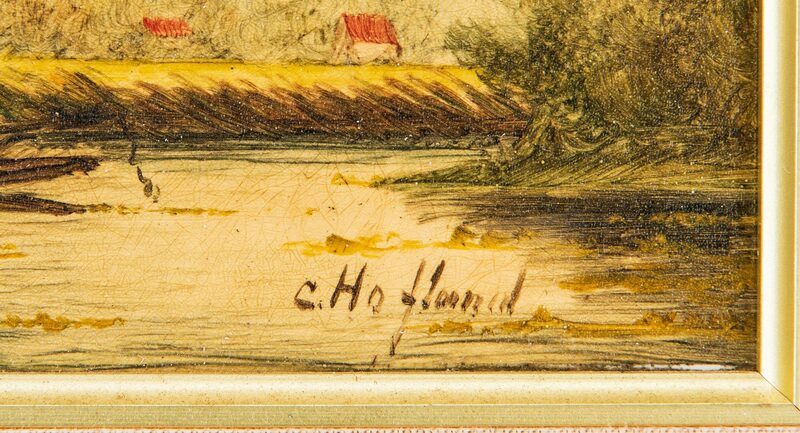 Illegible signature lower right and dated "64". 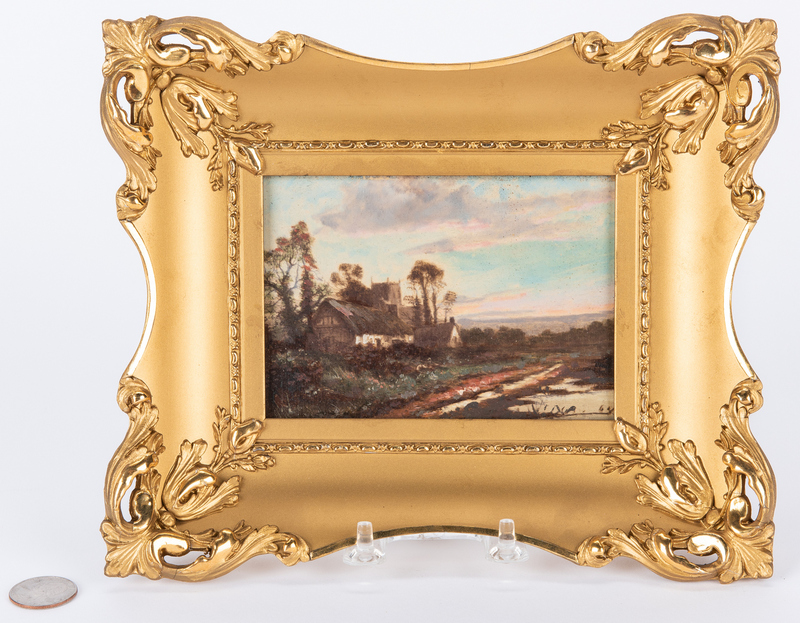 Housed in a contemporary carved and pierced gilt frame. 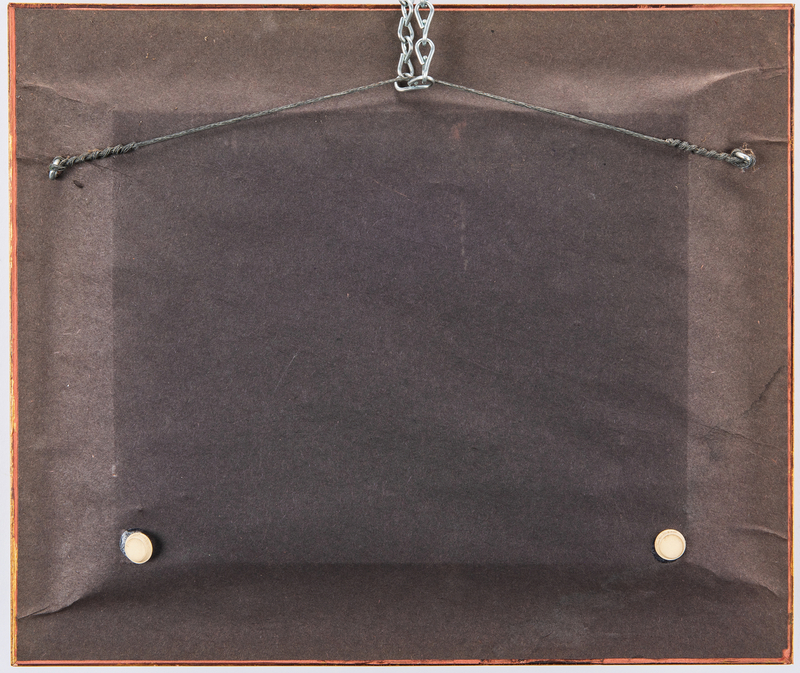 Additionally housed in a shadowbox frame. 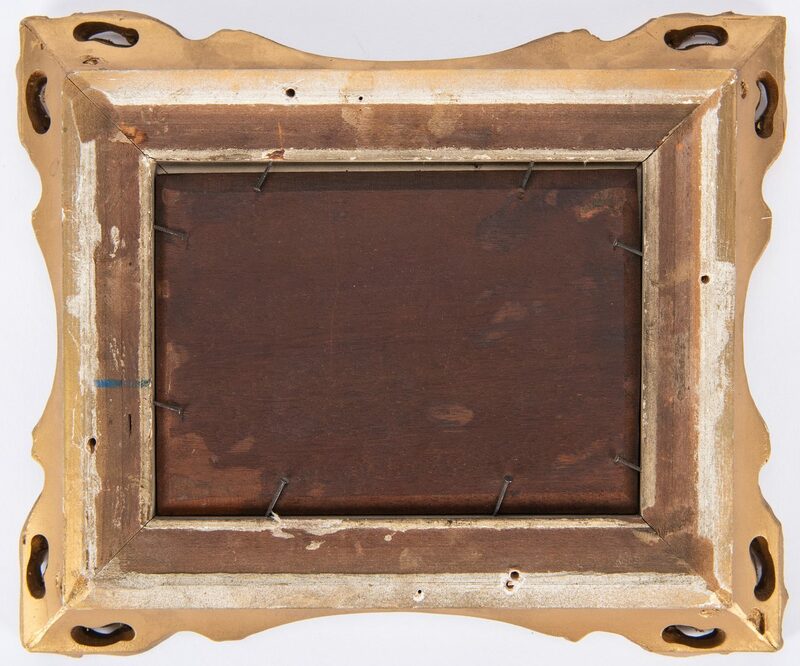 Sight – 3 1/4" H x 4 3/4" W. Framed – 7 1/2" H x 9 1/4" W. Shadowbox frame – 15 1/8" H x 17 1/8" W. Late 19th century. 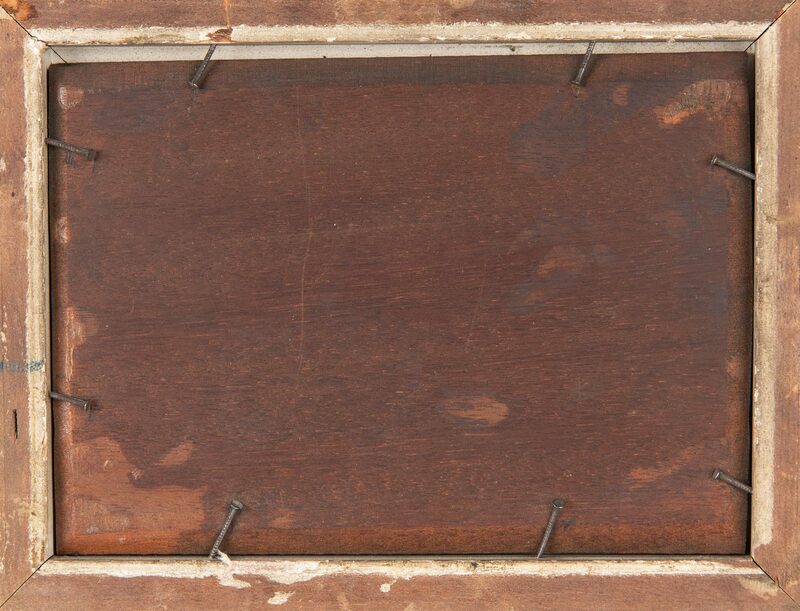 CONDITION: 1st item: Some scattered flaking to board, primarily upper right corner. 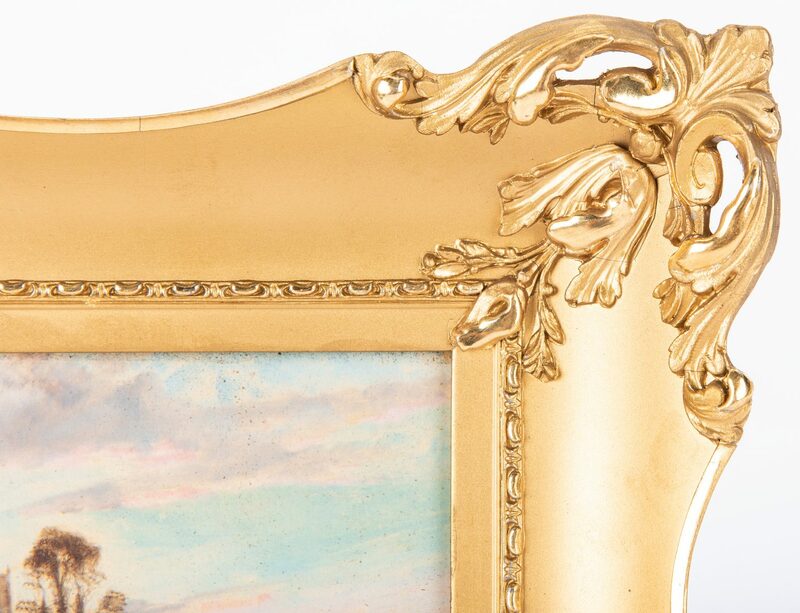 2nd item: Overall light craquelure to paint surface, otherwise good condition.